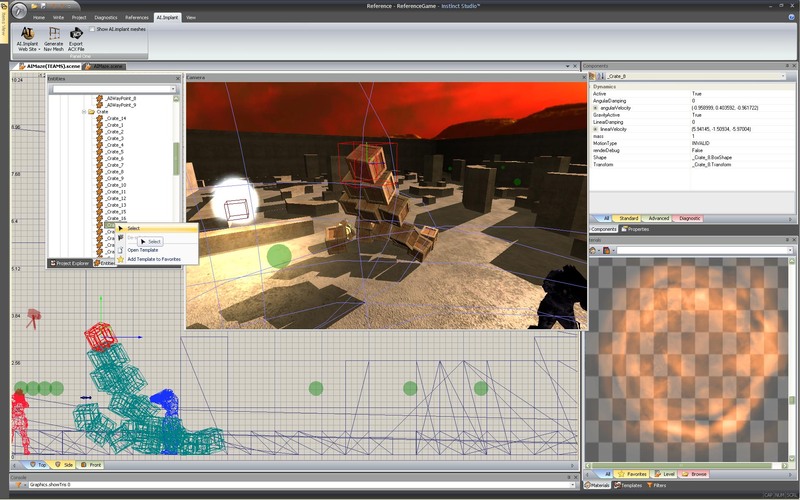 The Instinct Engine SDK is a cross platform game development solution featuring high-performance graphics coupled with powerful game creation tools, allowing a wide variety of game genres to be developed. 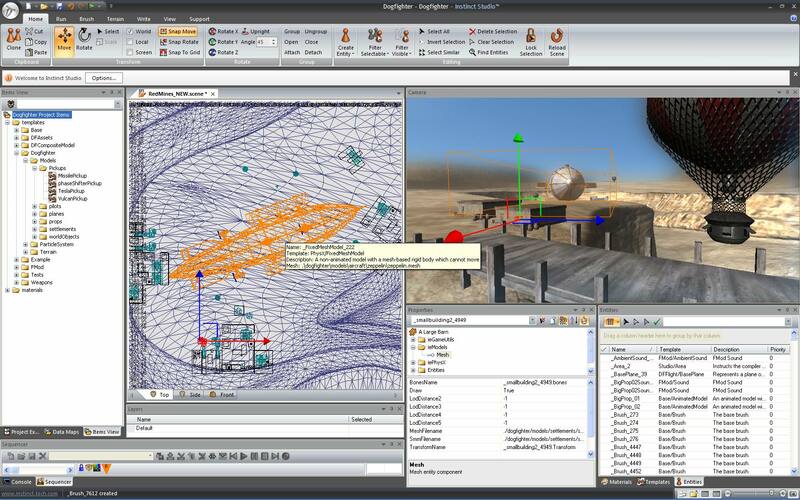 These tools support WYSIWYG editing within a single unified working environment, Instinct Engine SDK, maximizing productivity by reducing iteration times. The software has been designed as a true middleware API utilizing a set of extensible frameworks. 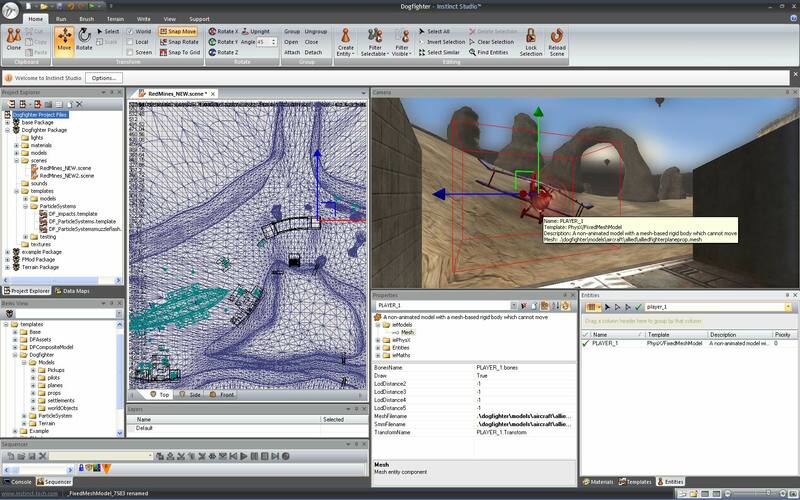 • Highly efficient rendering and flexible scene management system. 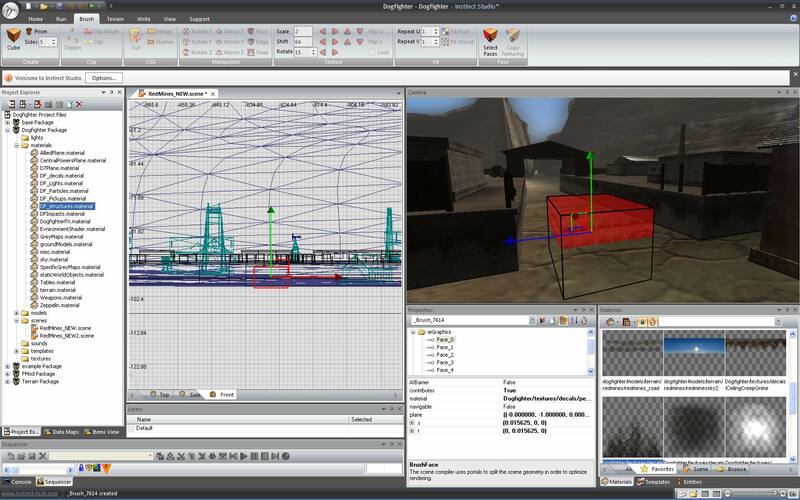 • Optimizing scene compiler can be used to greatly increase performance of both indoor and outdoor scenes. 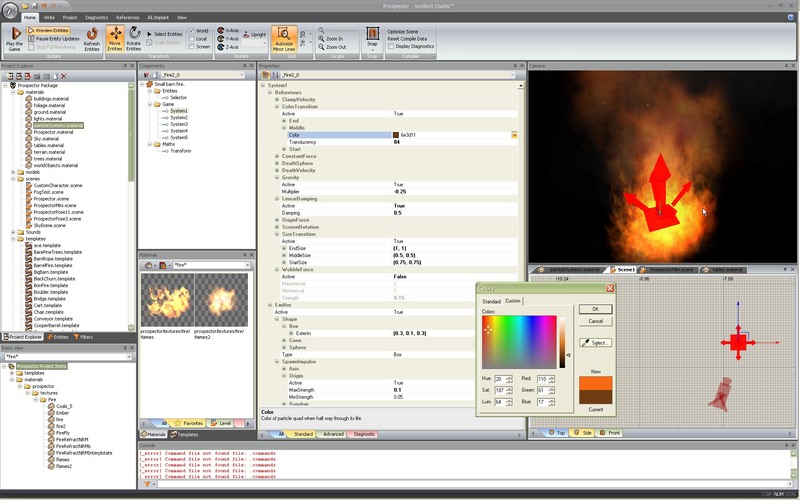 • Customizable graphics system - plug in your own visibility system, post processing effects, etc. • Default system supports both indoor (using BSP, portals & PVS) and large outdoor environments (using kd-tree). • Inheritance based materials eliminates lengthy shader compile times. 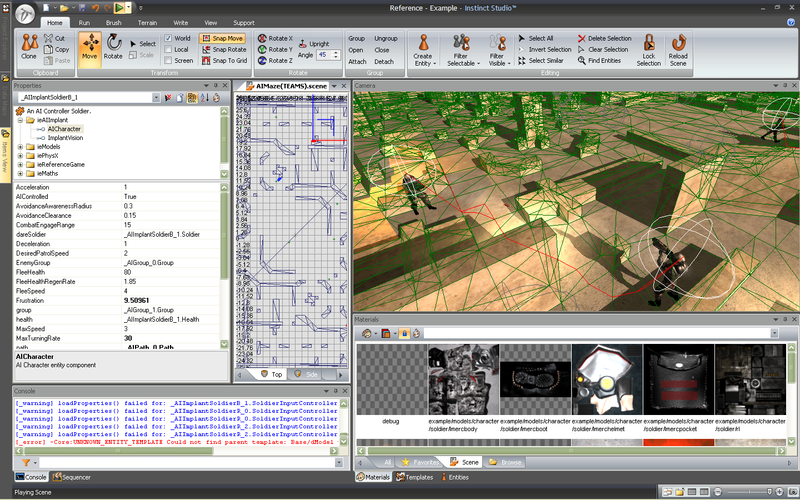 • Supports many industry standard formats like HLSL, .dds, .png, .ogg, dae (COLLADA), .map, etc. 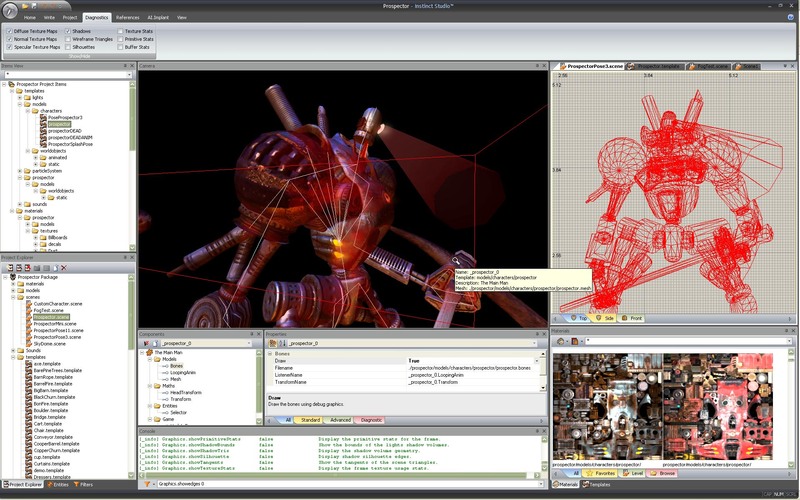 • Inbuilt models and animations solution with an exporter for 3D Studio Max. • Deferred Rendering option to dramatically improve dynamic lighting performance. • Shadow filtering; Uniform PCF, Jittered PCF and ESM. 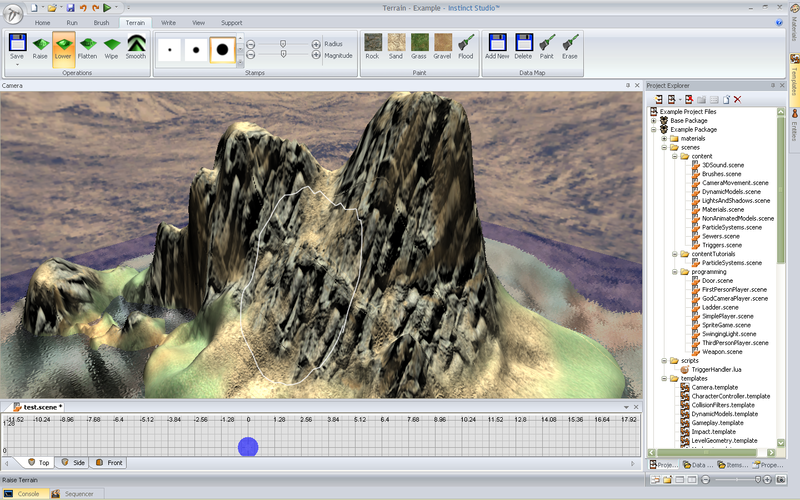 • Cascaded Shadow Maps (CSM) for increased shadow quality on global lights. • High Dynamic Range lighting. • Post Processing framework: Tone Mapping, Pixel Motion Blur, Depth of Field, etc. • GPU Skinning (4 bones per vertex). • Intuitive, modern user interface using the MS Office Ribbon and Visual Studio style docking controls. 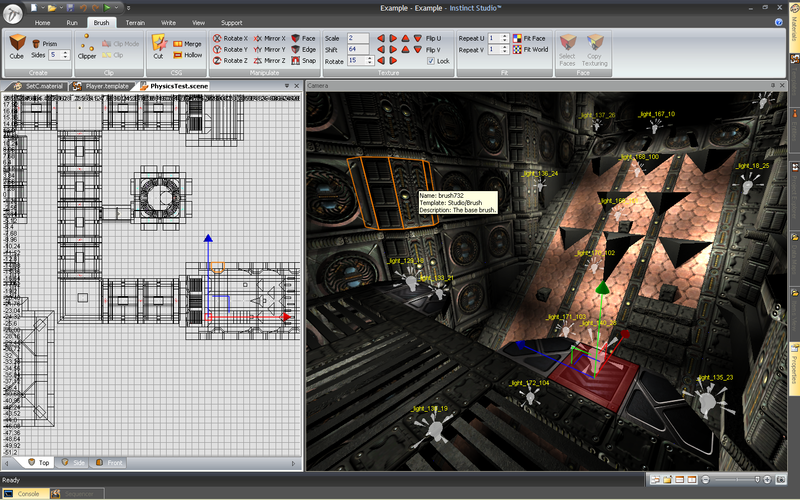 • Real-time editing and WYSIWYG tools provide instant feedback to level designers. • Instantly play the scene you are working on from within the editing environment. • Prefabs allow heavy reuse of content and simplify development and level design. • Undo / redo supported on all operations. 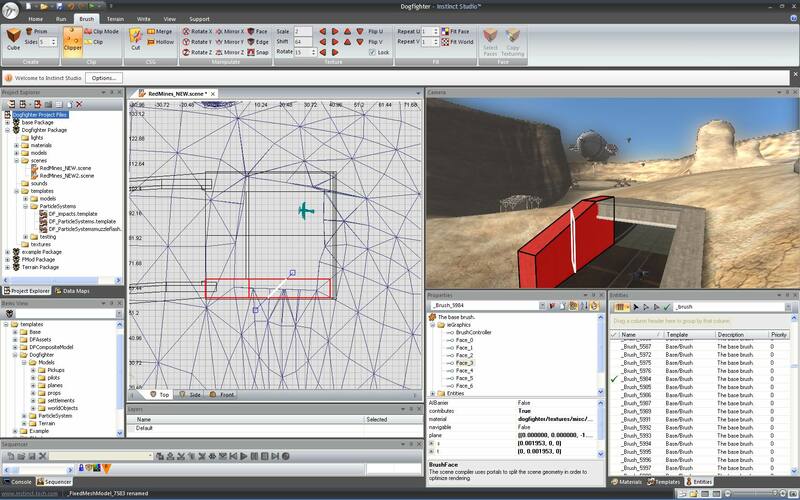 • Manage game assets directly in the editing environment. 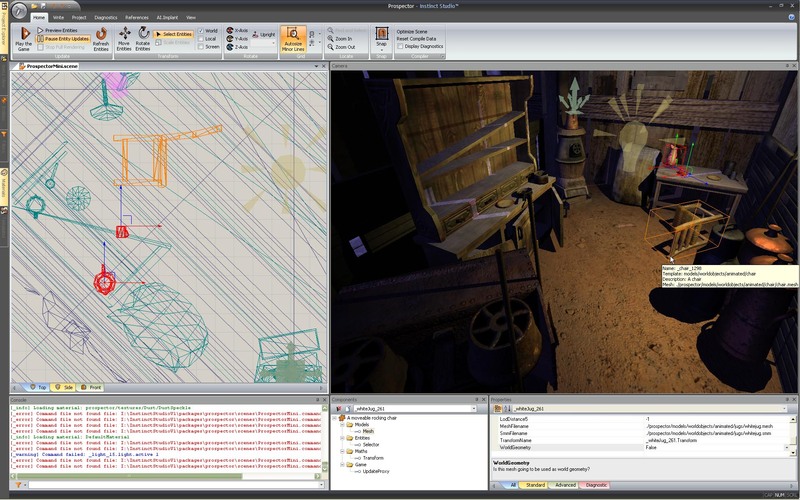 • Construct scene geometry using the internal brush editing tools, or import from 3rd party art packages. • Cross platform game development (PC & Xbox 360 ready, with PS3 and handheld devices currently in development). 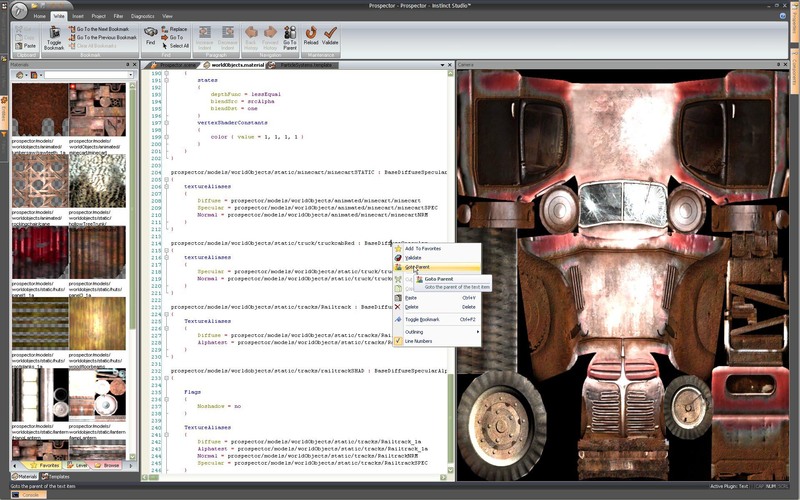 • Remote Control reflects tools environment on a console dev-kit in real-time. • Data driven, flexible and modular framework built in C++ with support for LUA scripting. • Modular component-based design enables easy modification and extensibility. • Integrate existing or third party code with ease. • Genre agnostic. Has been used in first person shooters, 3rd person action games, air combat games, puzzle games and 2D Sprite based games. • Performance has not been sacrificed to support the modular design. • Provides a large library of optimized low level utilities - memory manager, containers, maths, profiling, etc. • Physics is provided via our Ageia PhysX integration. • Music and sound support is provided via our FMod integration. We also provide a DirectSound implementation. 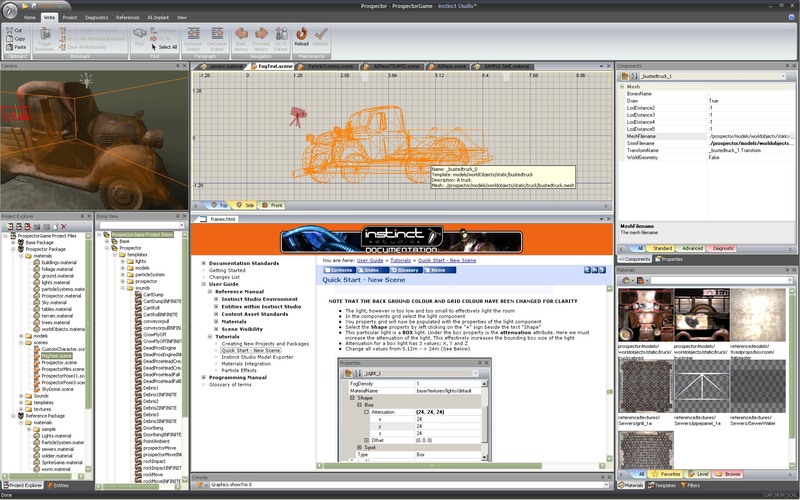 • Scaleform is supported for rendering graphical user interfaces created using Adobe Flash. • Philips amBX is supported for controlling amBX ambient environment hardware. • Actively adding support for other quality middleware products.